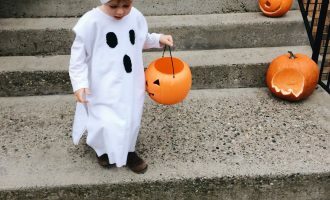 With Halloween less than a week away I wanted to share some fun Halloween treats for kids. 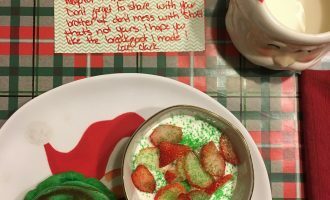 If your kids are anything like mine they love fun food, especially if it’s holiday themed. 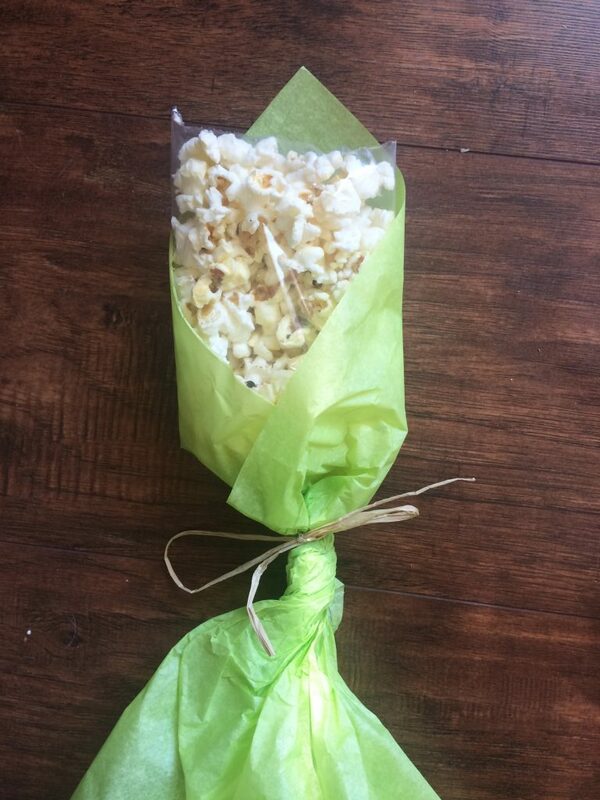 I made these adorable popcorn corn on the cob treats for my sons birthday party last weekend and they were too cute not to share! They are super simple, but do take a little bit of time. I just wanted to make sure I pointed that out because I didn’t give myself enough time and then was scrambling the rest of the day. Oops! 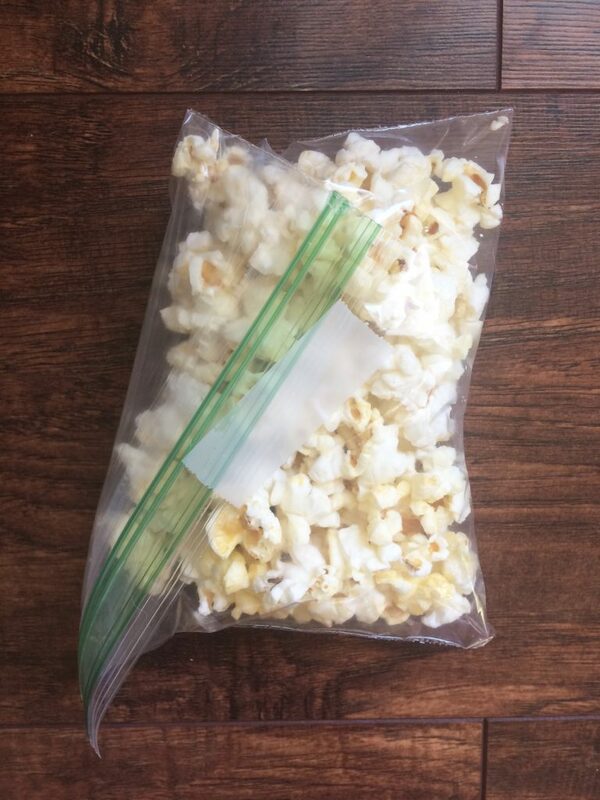 Pop popcorn and fill the ziplock bags about half way full. Fold over the top at an angle and tape. 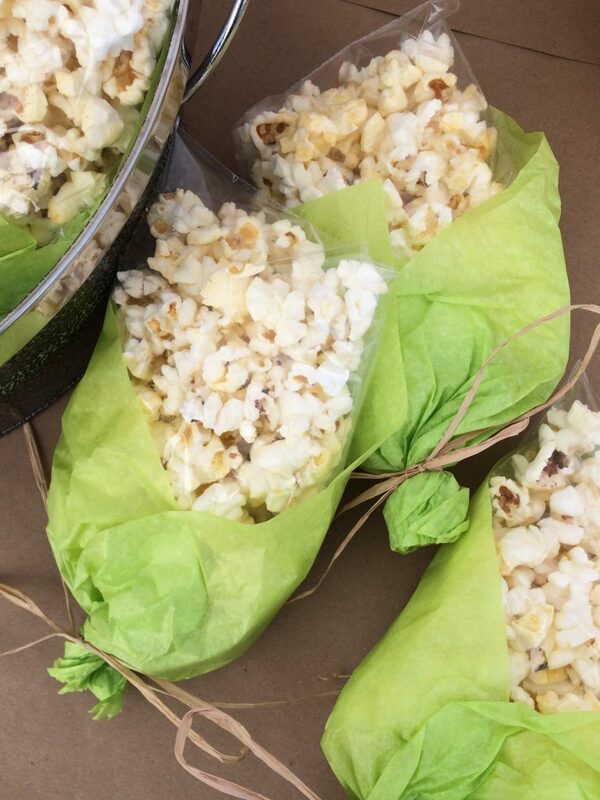 Cut the tissue paper in half and lay the bag of popcorn in the corner of one of your sheets of tissue paper. 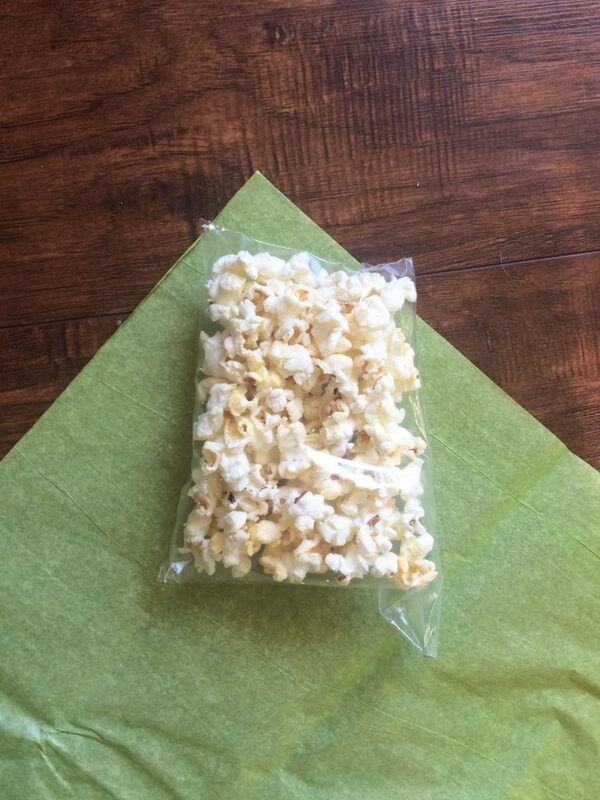 Using either double sided tape or rolling your tape to make double sided tape, place two pieces at the bottom of the popcorn bag. Wrap the tissue paper around the bag making sure the tape is secure. Twist the bottom of the tissue paper and tie with some raffie. 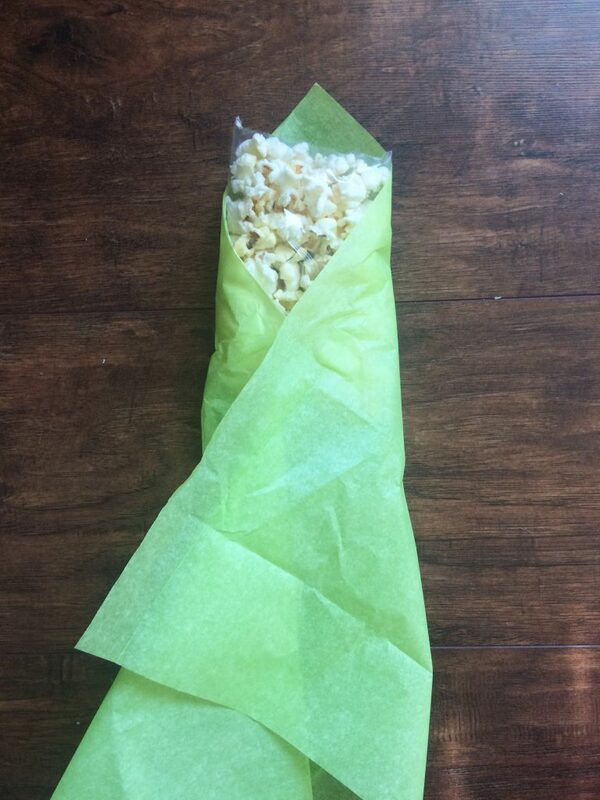 Cut the excess tissue paper off and you have yourself an adorable popcorn treat! Once you get all the “corn” done and stack them together the look really comes to life! 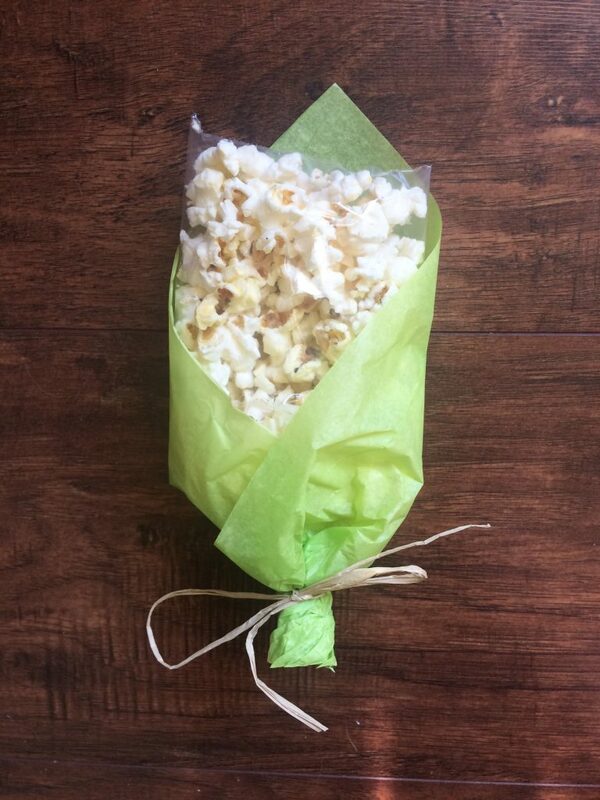 They are adorable and can be served at fall birthday parties, classrooms, your kids sports team or at your kid table at Thanksgiving dinner. 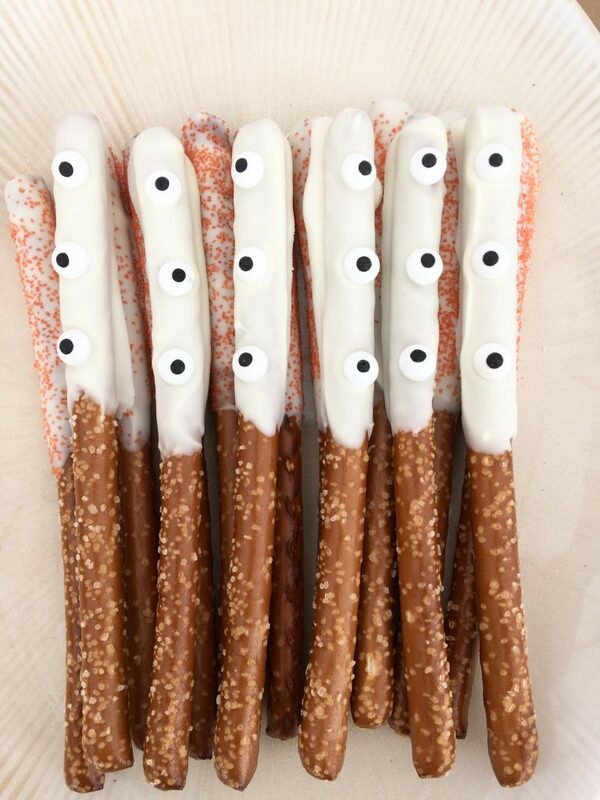 White chocolate pretzels are the best snack ever, especially when they have candy eyes on them! These ghost strawberries are so easy to make and the kids went nuts over them. Make sure your strawberries are really cold and you move fast when you put the eyes on them. The white chocolate sets fast so don’t waste time when putting the eyes on. 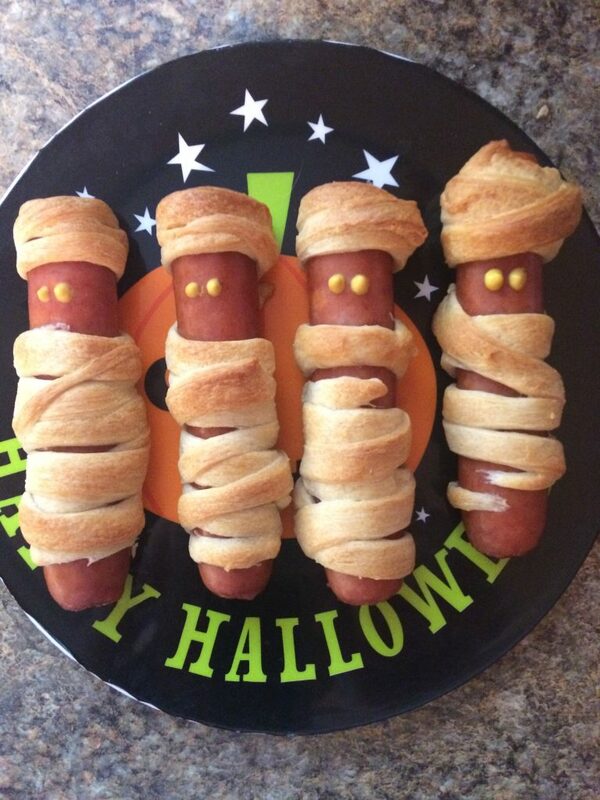 My kids got a kick out of these mummy hotdogs and I’m hoping to make them for them one more time before Halloween! 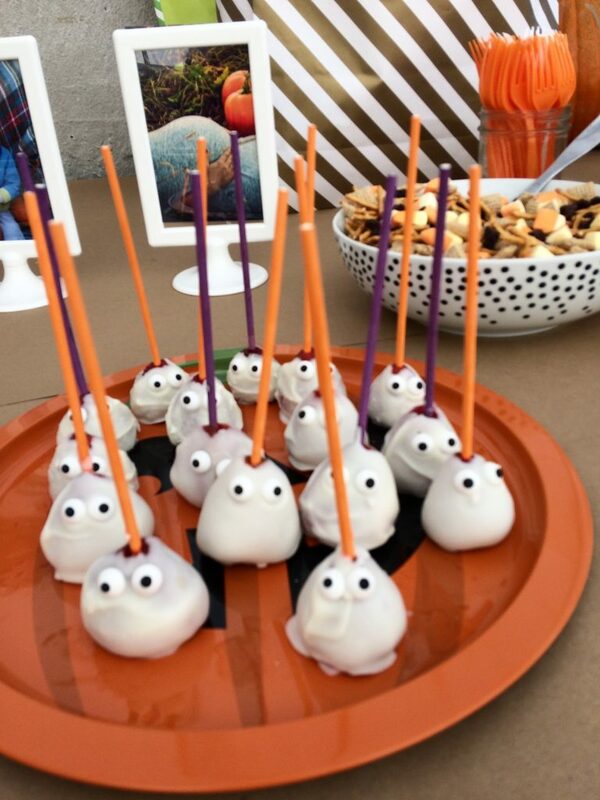 And if you’re looking for more kid approved Halloween treats here are some of my favorites. 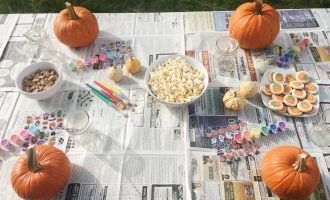 If you make any of these treats for your kids I would love to hear about it! Tag me on Instagram and if you’re looking for more inspiration I’ll be sharing more Halloween treats on my Instagram stories all day!